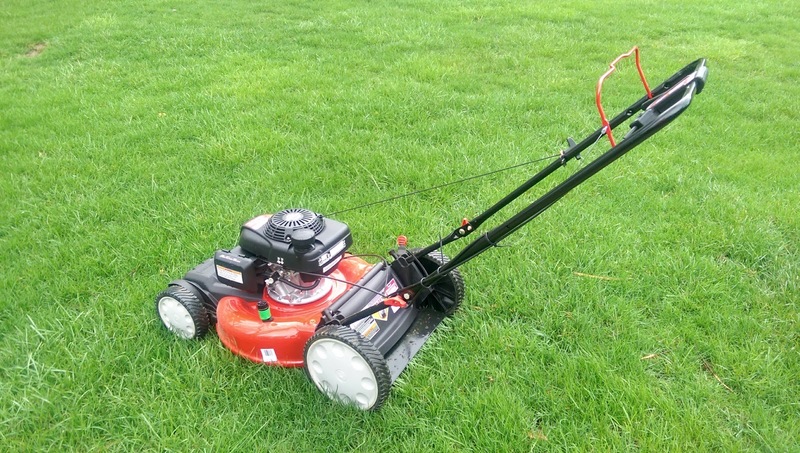 I decided to buy a new lawn mower instead of getting a broken cable repaired on the old one. I was just about to pick up the phone and call the country dump to see how to dispose of it when I thought maybe Goodwill might want it. A quick check of their web site confirmed that they do, and supports their job training programs. There is an attended donation center less than a mile from work, and they helped unload the mower. Winner, winner, chicken dinner!